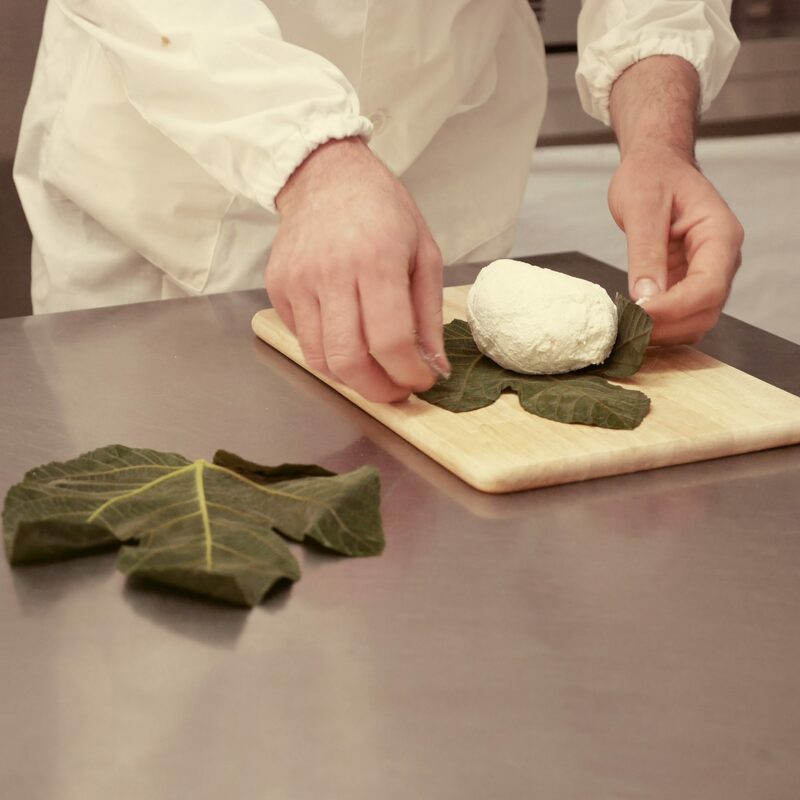 Giacomo Gati, a Sicilian producer of artisan vegetarian cheeses is doing even more important work than can seem at first glance. Through his work he is bringing back the old Roman traditions of cheese making and saving endangered Sicilian Girgentana goats from extinction. Giacomo is a farmer’s son, who grew up close to the south coast of Sicily. 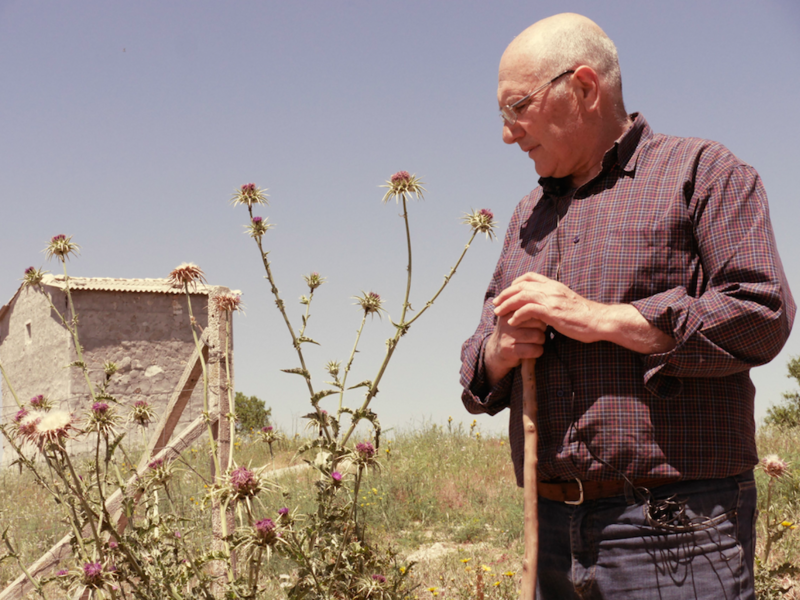 It took him many years however until he settled in Campobello di Licata, his homeland, and started running a farm of his own. When he was 17 he emigrated to Germany, pursuing better career opportunities as a mechanical engineer, but 10 years later a nostalgia for his native Sicilian countryside has brought him back. Upon his return to Italy in 1979 he searched for Girgentana goats, whose milk taste he remembered since his childhood. In earlier times these gorgeous ancient goats with twisted horns were a common sight in Sicily. Shepherds would walk in the villages from house to house with their goats and sell fresh milk . But it was not the case anymore. At some point, there were around 30 000 Girgentana goats to be found in Sicily. 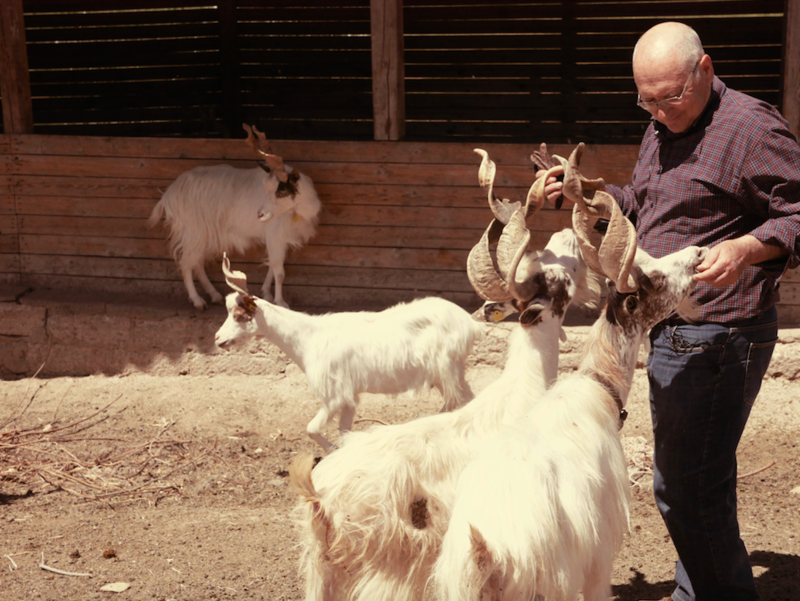 But when Giacomo started his farm, there were only about 600 goats remaining. The reason for the rapid decline of the goats population were the new sanitary rules imposed by the government. The goats were not allowed to enter the villages anymore and the farmers could not sell their milk easily. The only way to bring their population back was to make it financially viable to raise them. This is when Giacomo came up with an idea to start producing cheese from their milk. 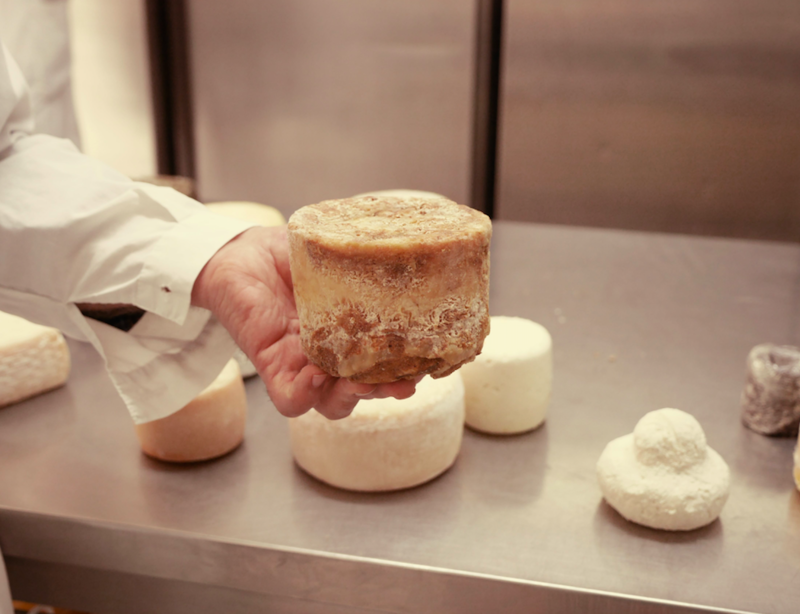 The cheeses made in his small factory are unique not just because of the milk that they use. Giacomo was not coming from a family of cheese-makers, and while it can seem as a disadvantage, it allowed him to experiment with different methods of production. Most high-quality cheeses nowadays are made with animal rennet – an enzyme, that is derived from an animal (usually calf’s) stomach. In ancient times, however, rennets extracted from plants were used to coagulate cheese, but this knowledge is largely lost. Giacomo had to turn to ancient texts of Roman writers to find out the technique of cheese coagulation with the help of plants, and it took him many years of experimentation to come up with a perfect formula. Some of the most common rennets that he uses are cardoons and milk from fig leaves. Both plants are growing all around Sicily in the wild. One of the most flavourful cheeses was actually invented by mistake – without addition of any other enzymes to the milk at all. The coagulation was achieved thanks to the unique climate conditions, when a hot dry wind came to Sicily from the African coast. 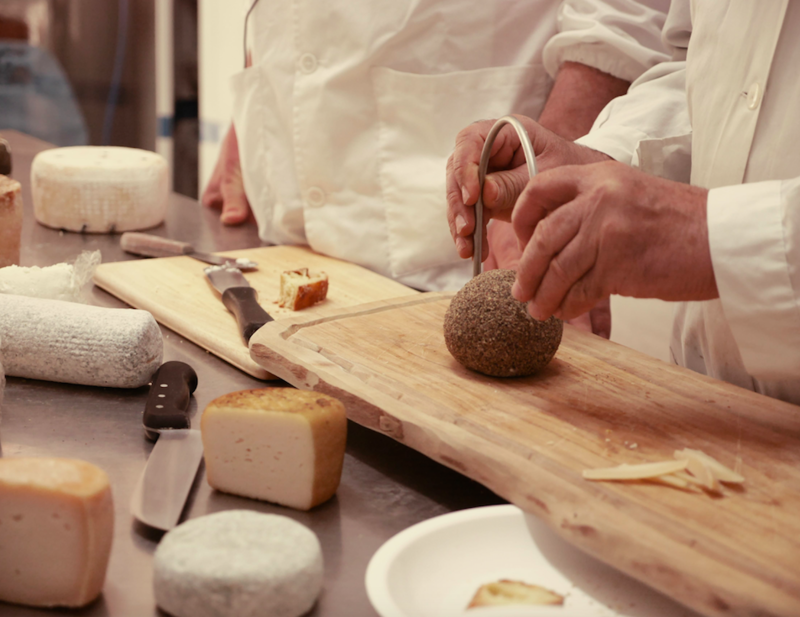 The production of the cheese at Agricola Montalbo was taken over by a young couple from Licata, Valeria Orlando and Davide Lonardo, who are carrying on and developing the traditions of ancient cheese-making.